Number 2: The Bible is corrupt. The original Torah, Psalms and Gospel have not reached us. What we do have today could not even be described as a copy of a copy of a copy. It is a copy of a copy of a copy of a mistranslation of a copy of a mistranslation of a copy of a copy of a rewrite of an account by someone who wasn’t a witness to the events. It is riddled with errors, contradictions, failed prophecies and unintelligible verses. As such, it is impossible to know what the message of the originals might have been and, therefore, impossible for reasonable people to put any trust in its conclusion. What d o you think? There are some responses that will address anyone’s arguments that the text of the Bible has been corrupted, so feel free to comment on that. But Alan will also have a response specifically for Muslims who have this difficulty with Christianity. I’ve heard this challenge many times before. Not just from Muslims, but from Mormons, Atheists, and people of all different faiths alike. The truth is, I’m not particularly impressed with this challenge because for the most part, the person making this accusation has never even read the Bible or done any research about its translation from ancient manuscripts. They are merely resuscitating something that someone else has told them. Whatever their answer, I then move on to the third Columbo question and ask if they’ve considered any of the evidence for the scriptural reliability of the Bible. For starters, the claim that the Bible has been translated and re translated thousands of times is simply false. Of all the translations we have today, there is only one translation step, Greek/Hebrew to English (or other language). 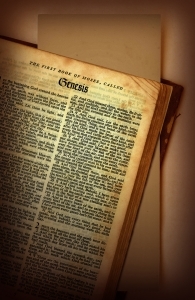 The major Bible translations we use today, have all been translated directly from original manuscripts. What about the reliability of the manuscripts we have? Well, although we don’t have the originals (and for the record, there’s not a single book from that era for which we have “the” originals) we do have thousands upon thousands of manuscripts and fragments, the earliest of which date nearly 60 years after the events in question took place. The discrepancy rate between these manuscripts is incredibly small and consists only of spelling errors and incomplete narratives. No changes in doctrine or historic record can be found in these discrepancies. The Quran on the other hand was written roughly 600 years after the Biblical events in question took place. Which book do you think has the more accurate account? What about these errors, failed prophecies, and unintelligible verses? Well, I’d simply ask my critic to give me some examples. Once again, they can make any claim they want, but if they do, then the burden of proof rests on them to defend it. Conversely, I know I can provide numerous examples of fulfilled prophecies. Finally, I took a look at the website that this objection came from and noticed that the author actually used passages from Matthew and Luke to support his position. If the Bible is so corrupted, why is he using it at all, and how does he know what parts are true and what parts are corrupted? So to my Muslim critics, what evidence do you have to support your position? Exactly right. I might summarize by saying that the burden of proof lies with Islam because of the claim that the Qur’an supersedes Scripture. (The same is true with Mormons and other groups that claim to have writings which supersede the Bible.) This claim is basically that a ‘revelation’ from 600 AD supersedes the Scriptures which were written from about 1500 BC to 100AD and affirmed in their entirety by the 2nd century. In order for that claim to be true, Islam would need to prove without a doubt that the Qur’an: lines up with Scripture (or ‘fulfills’ it), and makes commands which build upon what was written beforehand in Scripture. Neither of these conditions have been met and, therefore, the claim cannot be shown to have any validity. Since the Qur’an negates much of Scripture and claims its authority per se, it cannot supersede Scripture but only stand in opposition to Scripture. Also, check out the list from the original post. This burden of proof argument could apply to almost every single one of the ‘top 10’ list. But making accusations doesn’t make the list valid. The burden of proof lies with them. It’s too bad many of these lists are a ‘ready, fire, aim’ way of discussing theology. I would then follow up with, “Show me where these errors and contradictions and failed prophecies are and why are they so.”. How does one make a statement of fact that “they are mistranslations” unless you have the original to compare it to. The archeological evidence to support the Torah and Prophets simply from a “time/place/region/personage” stand point are remarkable considering the age of the documents. The entire process of writing a Torah scroll is/was so complex and rigorously enforced by the Scribes that to find so few deviations from one manuscript to another is mind boggling. And to have so many different authors, from different times of history, essentially stay on point and make prophetic claims that were uniquely filled by Jesus Christ is even more astounding. The odds of all of these coalescing together and being as accurate as they are are astronomical. That alone shows me that the hand of YHWH was directly involved in it’s writing. As a former Muslim, I used to make this challenge to Christians, with more success than I would like to admit now as a Christian apologist! Most Muslims make this charge based solely on what they have heard from their religious leaders and scholars, and those leaders and scholars base this accusation on how they read certain verses of the Qur’an (e.g, Qur’an 2:75, 2:79, 3:78, 5:41) and so on. But what is interesting is the fact that some of the earliest exegetes of the Qu’ran did not take such verses to mean that Jews and Christians tampered with the actual texts. Rather, the Qur’anic verses accuse Jews and Christians of tampering with the meanings of the texts. In fact, those same exegetes offer traditions behind the qur’anic verses that clearly presuppose the integrity of the Jewish and Christian scriptures (see Gordon Nickel, “Narratives of Tampering in the Earliest Commentaries on the Qur’an” (Brill, 2011)). It was only centuries after Muhammad’s death that the Muslim doctrine of biblical corruption became widespread. That’s when a man named Ibn Khazem realized that the Bible and the Qu’ran were directly at odds with each other (it wasn’t totally known that the actual written texts were so divergent until Arabic Bibles became more available and Muslims became more conversant in languages other than Arabic). 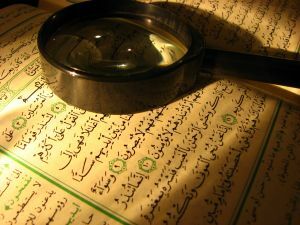 Upon the shocking discovery that the Qur’an and the written text of the Bible conflict, Muslims had to determine that one of the texts must be corrupted, and they certainly weren’t going to say it was the Qu’ran. But there is something that I think applies directly to Muslims that would get them thinking a little more carefully about this issue. I call it the Qur’anic conundrum. First, no Muslim disagrees with the idea that the Torah and the Gospel were revealed by God. Second, let’s assume that they were allowed to become so horribly corrupted as to contain “blasphemies” like the Incarnation, the trinity, Jesus’ death on the cross, and his resurrection. What follows from those two “facts”? Only two things as far as I can tell: (1) God couldn’t prevent the corruption of His self revelation; or (2) God wouldn’t prevent it. In either case, why trust Him? If He was powerless to stop the corruption of His self revelation, then He is not omnipotent (and this is rightly unacceptable to Muslims). If He is unwilling to prevent the corruption of His self revelation, then He is untrustworthy and his unwillingness leads to millions of people believing such blasphemies that Jesus is God and that God is trinitarian, resulting in their damnation. And why should we trust that God has preserved the Qu’ran if He can’t or won’t preserve the Bible? This was powerful to me as a Muslim who believed in an omnipotent, trustworthy God. I would have to reject God’s power and goodness if I were to believe that the Bible was corrupted. And I just couldn’t do that intellectually. Thanks for that Abdu. Excellent comments!